Check back frequently for our shop’s latest promotions! 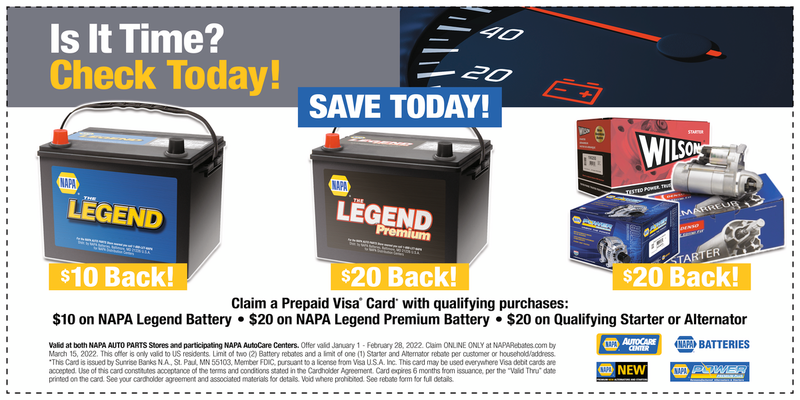 Be sure to check out our Financing page for information on NAPA Financing and how you can save even more. Plus complimentary tire rotation and brake inspection. We are thankful for your service and that you are a part of our local community. Napa AutoCare Centers of SWF proudly offers you a 10% Off Labor Discount on repairs at any of our 3 Fort Myers Locations. Who Is Eligible For Herocare Benefits?